This page is in honor of C.J.H. Sebire. Requested by his sister, Elaine M, King. C.J.H. Sebire (left) with his cousin Alcwyn Thomas. Born Ceiriog, Josue, Henri, Sebire in South Wales on the 26th April, 1924. His Mother was from Wales and his Father from the French Channel Island, hence the names he was given by his parents. His family moved up to London after his Father was given a Church after his Ordination. 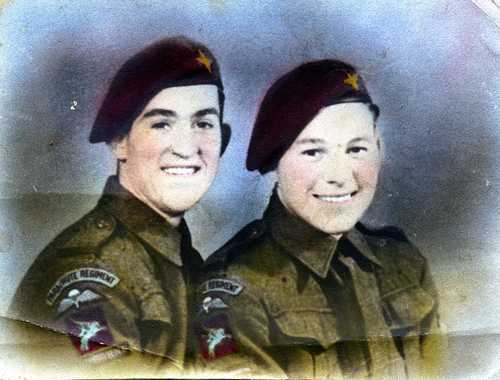 Jose ( as he was known) joined the Parachute Regiment as soon as he was old enough to sign his name on the dotted line. Both he and his cousin, Alcwyn Thomas signed up at the same time. These lads were like brothers as they were raised together since they were children. They remained together throughout their training and even parachuted in together over Normandy during the early hours of June 6th, 1944. 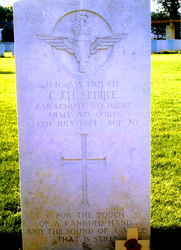 Jose was killed on the 24th July, 1944. He fell by his cousins side. Jose was just 20 years old. Jose died protecting our freedom. He was a true Hero who should be remembered and honored for willingly giving his life for the lives of many. A letter to his Family written shortly after the Normandy landing. 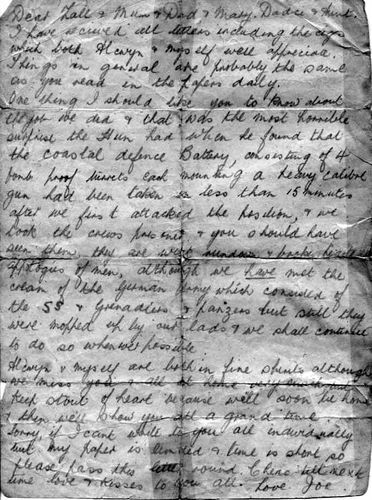 A poem written by Jose after the landing. And now I’m left holding this gun. And I nervously clenched at my gun. As I lunged through that door into hell. The men who live only to die. And remember they died there for you. And landed a wide-right on my face! And here’s to the next man to die. Sung to the tune of "Red River Valley"